We had originally planned to trek to the waterfalls in Luisiana town as a side trip on our visit to a relative at Tiaong, Quezon. But when Leo’s back acted up we had to give up that trek reluctantly. It was then that our sights turned to Masasa Beach in Tingloy, Batangas. Not exactly a side trip since it was well off the route to Tiaong but since this destination has been drawing visitors in the past 3 years or so we felt this was a good time for even just a short visit. 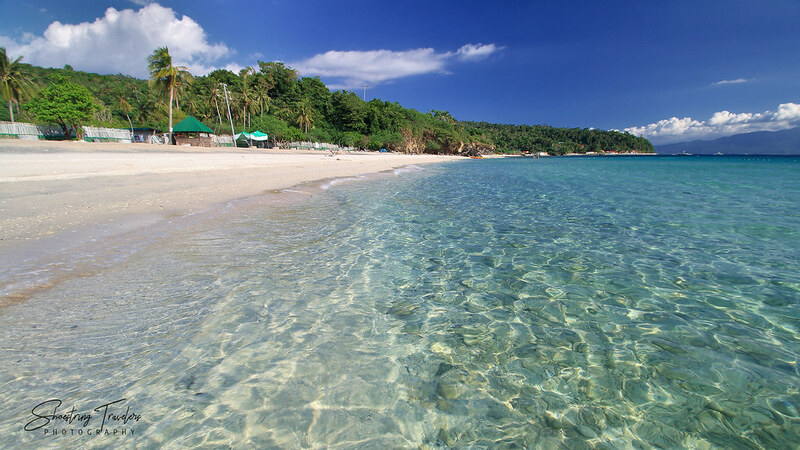 Masasa Beach is situated in the town of Tingloy, on Maricaban Island in Batangas. 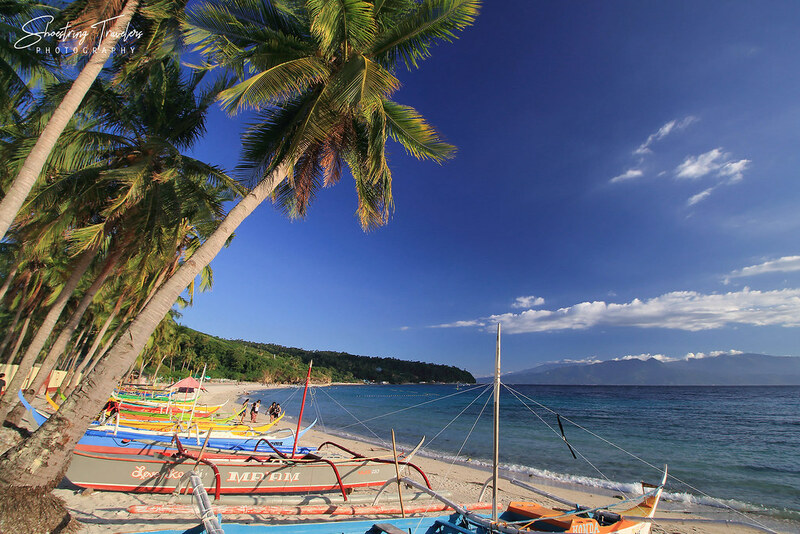 Ever since Burot Beach in Calatagan was closed to visitors last year, Masasa has been attracting a large number of tourists. To get there required riding a ferry boat from Anilao Port in Mabini town. We were late getting to Anilao and ended up taking the 12PM ferry and reaching Tingloy port just before 1PM. From there it was a trike ride to one of the homestays not too far from Masasa Beach. Our original plan was to go island-hopping mid-afternoon to other destinations beyond Masasa Beach but our late arrival meant we only had enough time to see Masasa. This beach is a curving 2-kilometer stretch of cream-colored sand with beautiful turquoise waters that are surprisingly crystal-clear. 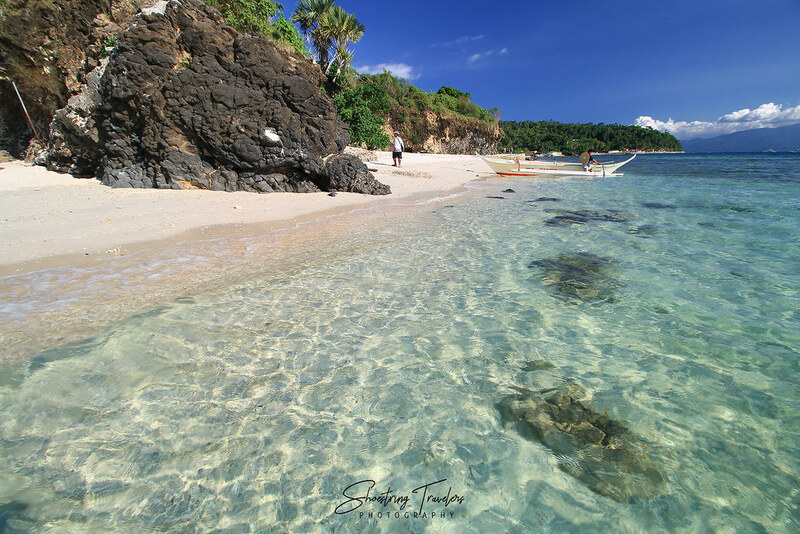 The waters here are so clear we could easily spot some colorful reef fishes swimming in the shallows as well as sand ripples beneath the gentle waves. The sand is soft to the feet and although there are some rocky portions along the beach, much of the beachfront is clear of corals and rocks and has a gradually sloping sea bed, making it ideal for swimming. A boatman offering island-hopping tours told us about a coral reef just several score meters offshore where he takes visitors for snorkeling. This is not surprising; Maricaban Island lies in an area bounded by Anilao and Isla Verde (Verde Island) – an area rich in corals and other marine life and is one of the richest marine biodiversity spots in the planet. With sunset approaching we trekked to the western end of Masasa Beach and came to the Lagoon, an area where boulders and large rocks partially enclose a small body of water forming a lagoon. It was low tide at the time so we didn’t see the Lagoon at its best but it was a perfect location for shooting the sunset. We could also see beautiful stretches of white sand beaches tucked between rock formations to the northwest. Since we had to be in Tiaong by lunch the following day we had to leave Tingloy early the next morning. Still our time in Masasa, no matter how short, was thoroughly satisfying. 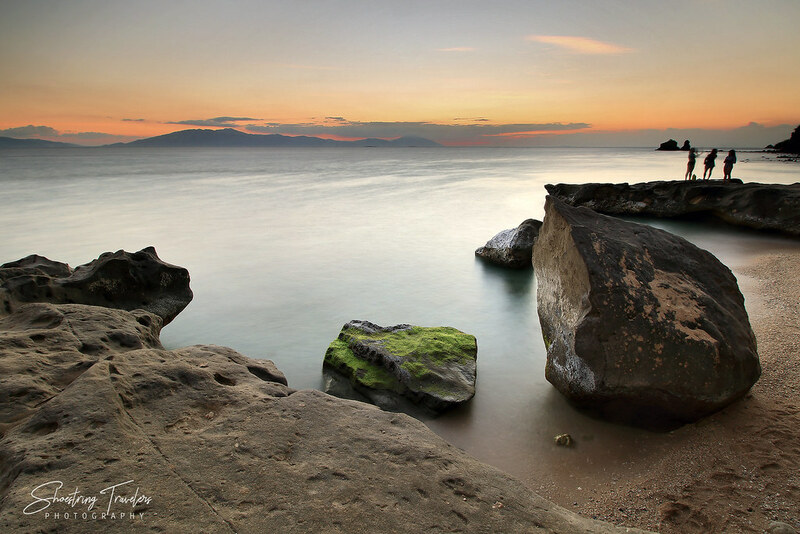 Masasa Beach, however, is not the only beautiful destination on the island. We mentioned a few coves and beaches tucked between rock formations beyond the Lagoon. There’s also Mang Oscar Beach further northwest, Sepoc Beach on the northwestern tip of Maricaban Island and the smaller Sombrero Island beyond. 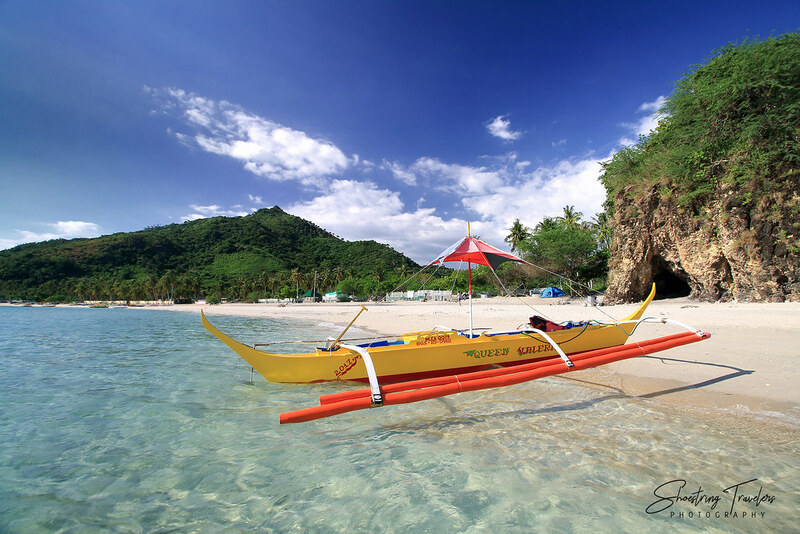 All of these destinations may be reached via boats at Masasa Beach which offer rides for P1,500 (3-4 people to a boat). And there’s also Caban Island west of Tingloy port with its fair share of white sand beaches and coves – although we’re not sure if it can be included in an island-hopping tour from Masasa Beach. Trekkers might also be interested in Mag-Asawang Bato, Tingloy’s highest point which could be reached via a two-hour trek from the beach. Via Public Transpo: Take a bus to Batangas City and alight at the Grand Terminal (if you’re coming from Metro Manila there are buses in Cubao, Kamias and LRT-Buendia headed there). Depending on the traffic this can take from 2 to 3 hours. At the Grand Terminal take a jeepney to Anilao Port or Talaga Port. Ride the ferry to Tingloy Port or Masasa Port. It’s preferable to catch the ferry to Masasa Port since it’s located close to the home stays along the beach. However, the boats headed there are fewer and more unpredictable in terms of schedule. If you’re taking the ferry to Tingloy Port (about a 45 minute ride) you will need to ride a trike for 10 minutes to Masasa Beach. However, the trike could only go as far as the end of the road and the start of a 750 meter paved trail to Masasa Beach. Our trike driver suggested we just check in at one of the home stays near this spot and just trek to the beach from there, otherwise we would have lugged our bags and camera equipment for that 750 meters and more. Boats from Anilao or Talaga Ports leave as early as 6AM. Their schedules are not that predictable but the last boat headed to Tingloy Port leaves at 2:30 PM. Via Private Transpo: Drive all the way to Anilao Port or Talaga Port in Mabini, Batangas. There are parking spaces for rent near both ports. Then take the ferry to Tingloy or Masasa Ports. There are no resorts at Masasa Beach but there are several home stays offering very reasonable rates. Food is a bit of a problem with many visitors preferring to bring foodstuff that may be cooked at the home stays. Some home stays though will buy food from nearby sources and cook them for guests like ours did. It’s also better to visit Masasa Beach on a weekday. On weekends, especially during the summer months, this destination can get really crowded. 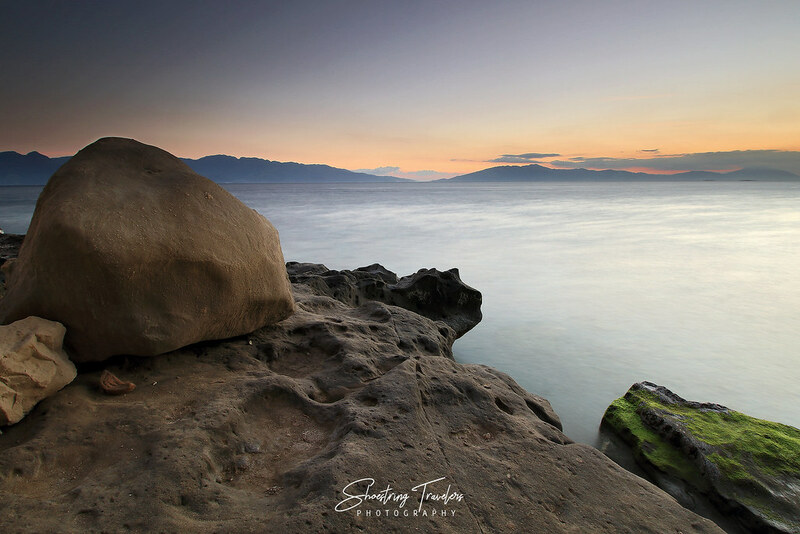 Posted in Batangas, Travel PhilippinesTagged Batangas, beach, island, lagoon, Maricaban Island, Masasa Beach, philippines, sunset, TingloyBookmark the permalink. We were surprised by the water’s clarity. Didn’t expect a beach in Batangas to have waters as clear as Masasa’s; na-underestimate namin ang beauty ng lugar. There are more beaches in the island so we’ll have to go back sometime. the long exposure shots blew me away! Thanks Dea! Medyo bitin pa ‘nga kami diyan since we didn’t do the island-hopping part. Kailangang balikan.